To the outside world, it’s a dapper silver tie bar. Our little secret is that there’s a high quality bottle opener hidden on the back side. Great for weddings, formal events and even business outings. Free Personalization: We’ll engrave each PRYCLIP with a name (up to 12 characters) for no extra cost! The engraving will go on the front facing side of the tie clip. Meet the next great style accessory for men! 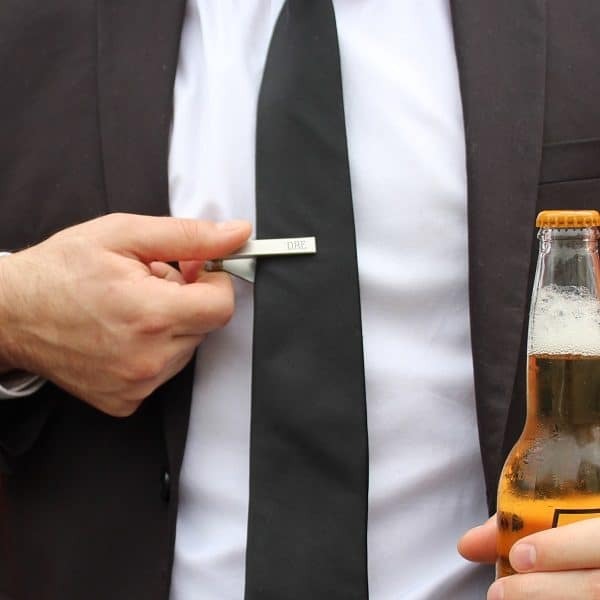 PRYCLIP is a unique tie clip that also features a bottle opener. 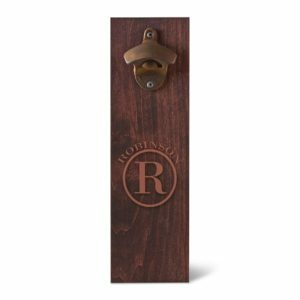 This (durable) bottle opener is hidden on the back side, so you can safely wear to any type of event. It’s great for weddings, business outings or formal events. Rest assured, the functional tip clip is no gimmick. It boasts a very strong grip and will hold you shirt in place without doing damage to the fabric. 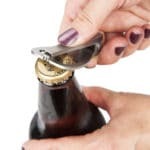 The heavy duty bottle opener is crafted from high quality stainless steel that can crack open even the toughest of beer caps. 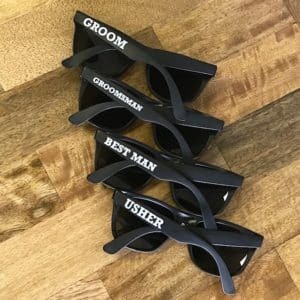 Giving as a gift to your groomsmen? 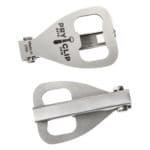 We’ll engrave a name or short message on the PRYCLIP for no extra charge! Durable, handy bottle opener hidden on back side. Measures 2.25" x 1.5" x .6". 100% high quality, polished, stainless steel material. Each PRYCLIP arrives in a muslin bag for a unique gift presentation. Where do you wear a tie clip on a dress shirt? 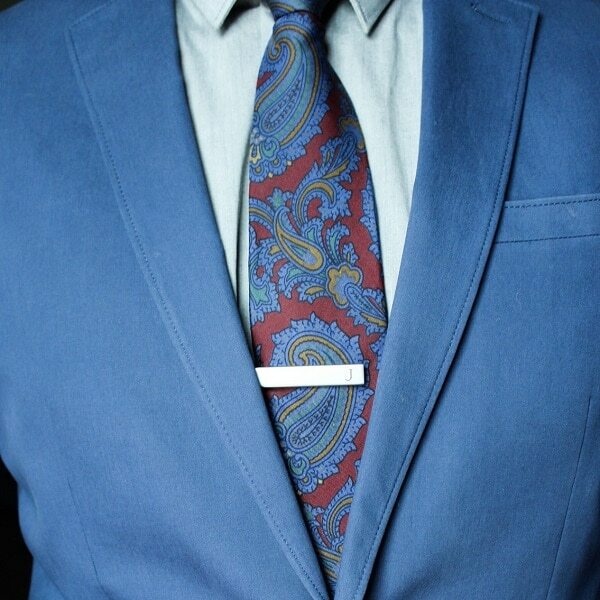 Fasten your tie clip between the 3rd and 4th buttons of your shirt. Be sure to clip both the tie and the shirt itself. This ensures that your tie stays in the right spot. 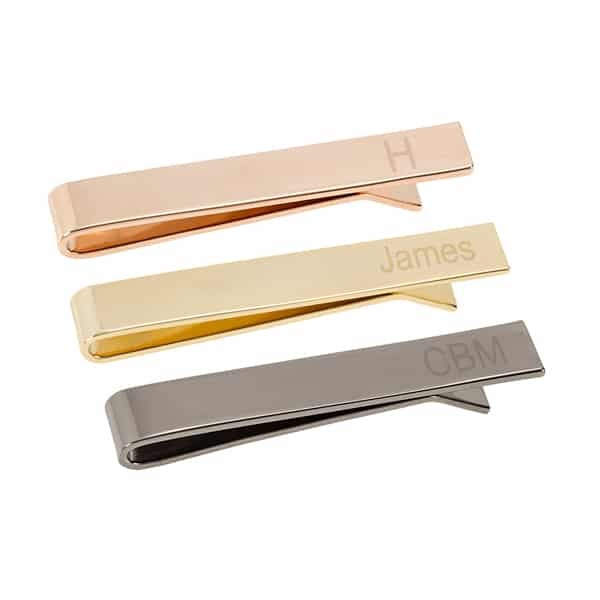 I purchased The tie bar with the bottle opener on the back as a last minute gift for my groomsmen - Chris was prompt, helpful and flexible to accommodate my quick need for a small gift. The bar was a big hit with my guys (and their initials engraved adds an added sense of pride) and to top it off I saw someone need a bottle opened and sure enough my groomsmen was there to crack the top open and put the tie bar back on his shirt and walk off. PERFECT gift! Thanks, Chris! Thanks Man Registry!